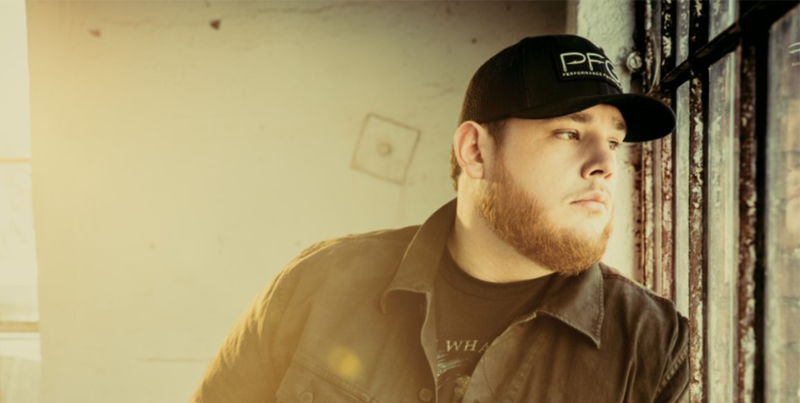 CMA and ACM Award-winning musician Luke Combs’ 2x Platinum single, “Beautiful Crazy,” remains No. 1 on Billboard’s Country Airplay chart for the sixth-straight week—a milestone not achieved since Thomas’s Rhett’s “Die A Happy Man” in 2016—and the Mediabase/Country Aircheck chart for the fourth-straight week—the first single to do so in nearly nine years following Miranda Lambert’s “The House That Built Me” in 2010. Combs also continues his historic Billboard run this week—topping all five country charts for a third non-consecutive week: Top Country Albums, Hot Country Songs, Country Airplay, Country Streaming Songs and Country Digital Song Sales (dated March 9, March 30 and April 6). “Beautiful Crazy” is Combs’ fastest rising single to date (15 weeks) and makes Combs the first artist ever to send his first five singles to the top of Billboard’s Country Airplay chart. “Beautiful Crazy” is also the first country single shipped to radio already platinum-certified since Taylor Swift’s “Red” in 2013 and has more than 312 million on-demand streams. In celebration of these milestones, Combs recently released an acoustic version of the song. Listen/share HERE. In celebration of his landmark year, Combs’ “Beer Never Broke My Heart Tour” will extend through this fall including newly confirmed dates at Rogers, AR’s Walmart AMP, Portland, OR’s Moda Center, Philadelphia, PA’s Wells Fargo Arena and Nashville, TN’s Bridgestone Arena. Special guests throughout the tour include Morgan Wallen, The Cadillac Three and Jameson Rodgers. Luke Combs Bootleggers Presale powered by Ticketmaster Verified Fan will be available starting today at 10:00 AM local time with general on-sale following on Friday, April 5 at 10:00 AM local time. See below for complete tour details. Already the 2019 ACM Award-winner for New Male Artist of the Year, Combs is also nominated for Male Artist of the Year at this year’s awards and will perform during the ceremony. The 2019 ACM Awards will broadcast live on CBS from MGM Grand’s Garden Arena in Las Vegas this Sunday, April 7 at 8:00 PM ET/7:00 PM CT. These achievements add to an already monumental year for Combs, whose breakthrough debut album This One’s For You is now certified RIAA double Platinum. Since it’s release June 2, 2017, the album has spent a total of 30 non-consecutive weeks at No. 1 on the Billboard Top Country Albums chart—the first album to reach the milestone since Lady Antebellum’s Need You Now in 2010-2011. The album also spent 16 weeks at No. 1 in 2018—making it the highest selling country album last year with 1.1 million equivalent album units sold and the only country album to surpass 1 million album units. It’s also the most-streamed country album of 2019 so far. Additionally, Combs was recently named Country Artist of the Year at the 2019 iHeartRadio Music Awards, New Artist of the Year at the 52nd Annual CMA Awards, was nominated for Best New Artist at the 61st GRAMMY Awards and was the recipient of a CMA Triple Play Award for writing three No. 1 songs in a 12 month period.